إن فندق فندق بارك ريجيس سيتي سنتر بموقعه الممتاز في هذه المنطقة السياحية هو نقطة انطلاق جيدة لنزهاتك في هذه المدينة المذهلة. يحظى هذا الفندق ذو 3.5 نجمات بمكان ممتاز يسمح بالوصول إلى المعالم السياحية الأكبر في المدينة، فهو يبعد مسافة 1 km عن صخب المدينة. يشكل هذا الفندق ملاذاَ مريحاً للاسترخاء ويمنح زواره فرصة للاستجمام والتجدد، وهو يقع على بعد خطوات من المعالم السياحية الكثيرة للمدينة. ببساطة كل الخدمات وأساليب الضيافة التي تشتهر بها StayWell Hospitality Group تجعلك تشعر وكأنك في بيتك. يقدم هذا الفندق العديد من الخدمات الكفيلة بإرضاء أكثر الضيوف تطلباً. في فندق بارك ريجيس سيتي سنتر غرف نوم يزيد عددها عن 122 صممت بذوق وعناية لتوفر لك كل وسائل الراحة . بعضها يحتوي أيضاً على خزانة, مناشف, سجاد, تلفزيون بشاشة مسطحة, اتصال لاسلكي بالإنترنت. يقدم الفندق مجموعة رائعة من الخدمات كمثل مسبح خارجي، لجعل إقامتك تجربة لا تنسى. مهما كانت أسبابك لزيارة المدينة، فإن فندق بارك ريجيس سيتي سنتر هو الخيار الأفضل لإقامة مثيرة وممتعة. يرجى ملاحظة أنه إذا كان النزلاء يرغبون في حفظ أمتعتهم في الفندق بعد تسجيل الخروج، فسوف يتم احتساب رسوم 2 AUD لكل حقيبة في اليوم. يُفرض رسم إضافي بنسبة 1.7% على بطاقة الائتمان فيزا وماستر كارد، وبطاقات ائتمان البنوك. يُفرَض رسم إضافي بنسبة 3.5% على بطاقتي ائتمان أمريكان إكسبرس ودينرز كلوب. يُرجى ملاحظة أن الأسعار تخضع للتغيير دون إشعار مسبق. لا يتم احتساب رسوم المعاملات عند استخدام الأموال النقدية أو EFTPOS. 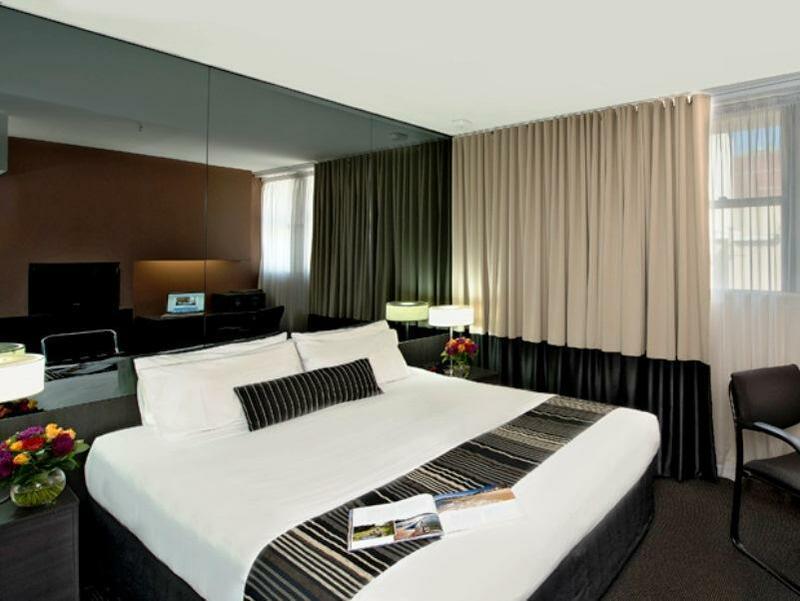 We were aware that other hotels in the area offered larger cleaner rooms at a better price. I understand the photos on the ad will be embellished to portray something more pleasant but wow. Everything was inconveniently small, the carpark had one narrow ramp to be shared with ascending and descending traffic. The room was tiny, I only paid 220 for it but that was still too much. Waiting for the elevator is a corridor that is probably 1.5 meters wide. Everything from the carpark to the elevator to the room had a very peculiar smell to it. Parking was overpriced. $45 per night. And the first thing you see is a sign saying they accept no responsibility for anything taken from your car. In their carpark. We requested two single beds, which technically we got, it was two single beds inside a double bed frame so I don't know what that was about. Staff were nice enough, I didn't have too many interactions with them. 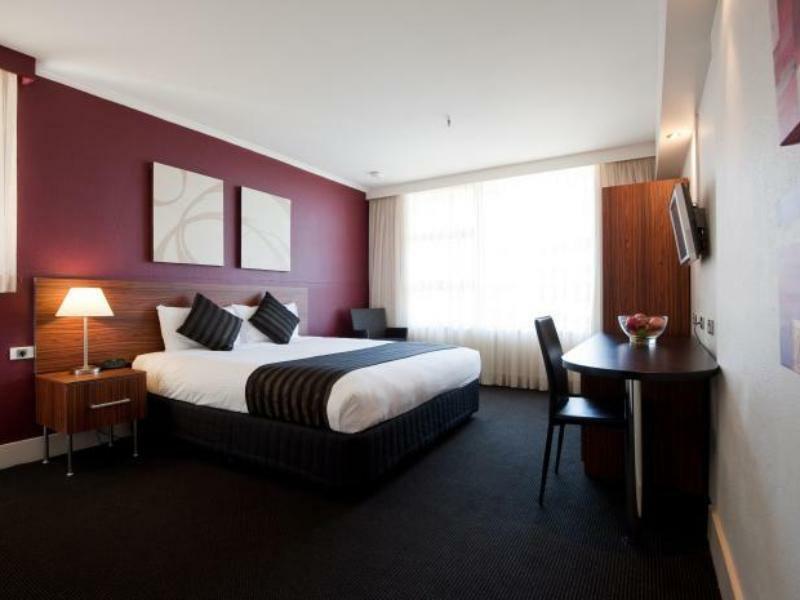 We stayed in this hotel for two nights and we were very satisfied and will come back... the hotel is located conveniently near the Town hall train station, hyde park, Queen Victoria Mall, Chinatown, MArket Street and other tourist spots, and there is a nearby supermarket... The room is okay, it was small but the bed is big and spacious for two open luggages.. The staff are all friendly and helpful..
Room very small, but functional. Only there for one night, so did not use facilities, but from what I saw they seemed basic but clean. All facilities are on the roof top, so good views, but not much atmosphere. No food services on premises, but plenty near by. 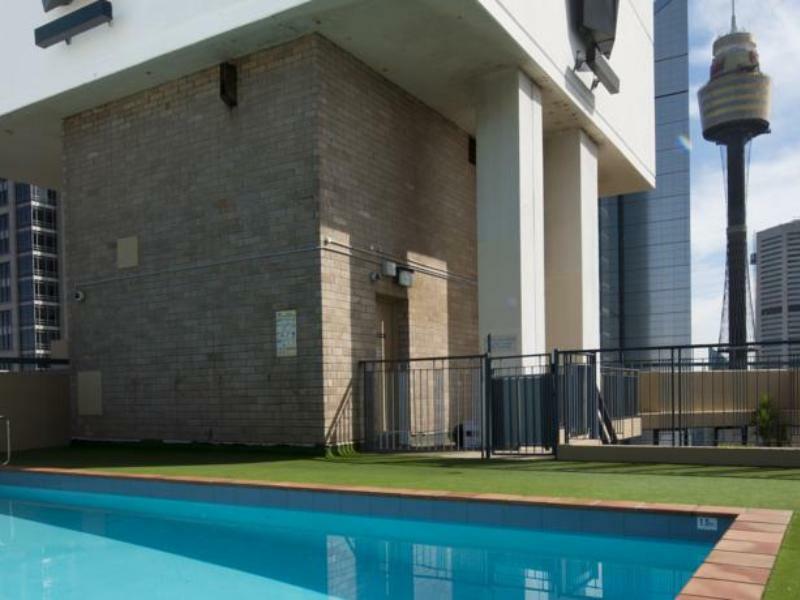 Great location in centre of city, near Town Hall station. The location is extremely good. 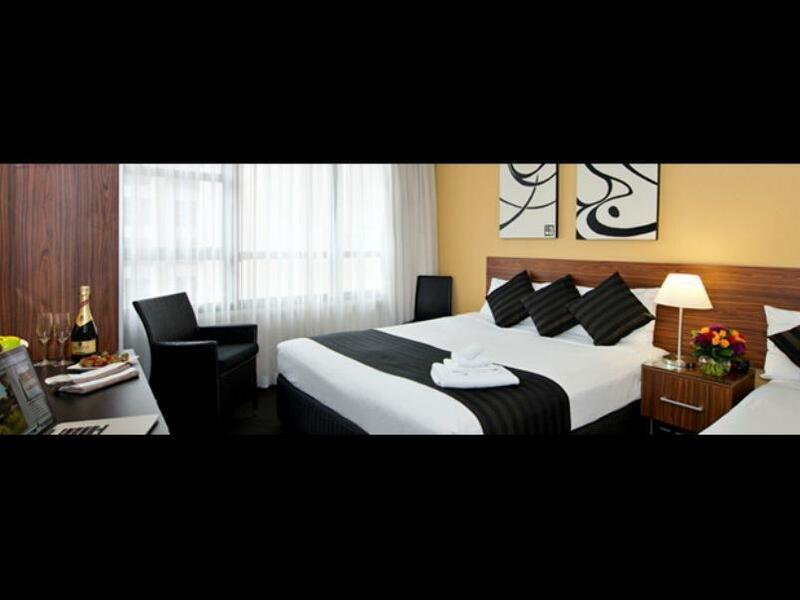 Walking distance to Queen Victoria Building,westfield, David Jones and lots more for Shopping. St James and Sydney Tower for sightseeing. Very near to Townhall train station which is just 2 station away from opera house and bus station is just in front of the hotel. The hotel is in a great location. 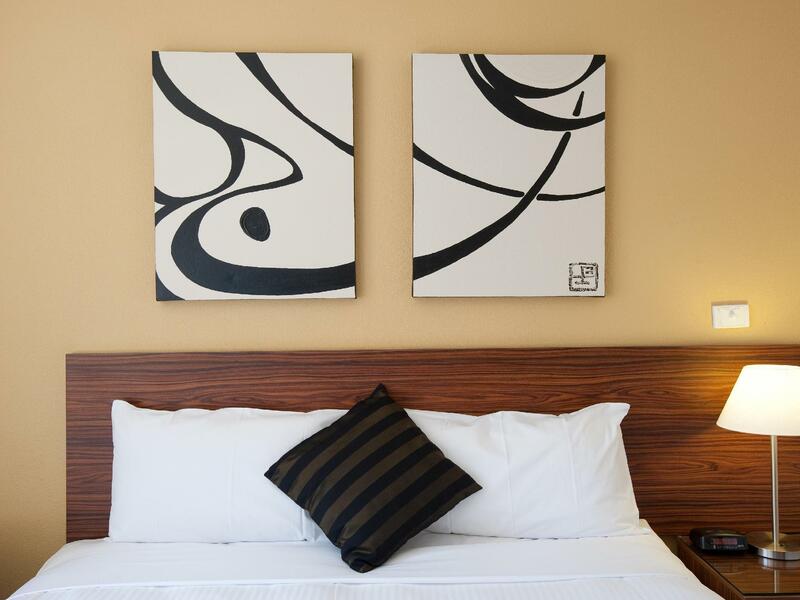 The room is an adequate size and very clean and tidy. The TV channels were good, as was the Wifi, though it was limited to 250 MB per day. As previously mentioned, the room was rather chilly (in winter), but there was an extra blanket available. The room was also not very well insulated in terms of sound. You could easily hear the closing of doors and other activities in the hall, but luckily no one was loud late at night. The main drawback, however, is the very early check-out time of 10 am. 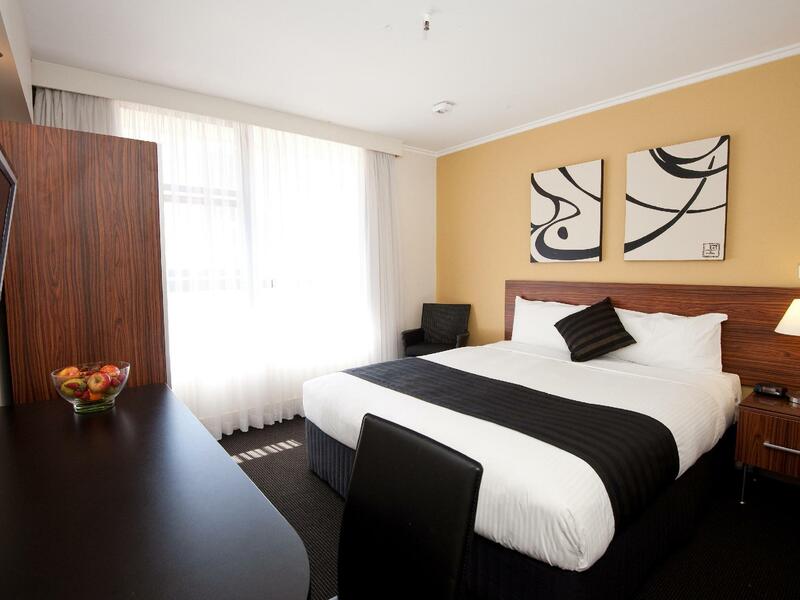 Centrally located hotel, which is within walking distance to major shopping centres, supermarkets and tourist attractions. We literally just walked to the Sydney Eye and Chinatown. The room was moderately sized, and since we were at a higher floor, the view of the street below was lovely. The room was clean, and comfortable for a couple like us. The stay -- two nights -- was great and my wife and I enjoyed every minute we spent at the Regis. However, what we were missed most was a safe deposit box/locker in the room. We had a small problem with housekeeping -- at least one of the staffers delayed cleaning our room in the morning when we had gone for breakfast. His excuse was that he had to make up the rooms of those who had checked out before anything else. Whatever be the policy of the hotel, we felt we should have been attended to. There is no dining facility in the hotel but the restaurants nearby more than make up for the absence. planned to stay two nights, arrived the first night and found towels and sheets were dirty. we were moved to a different room but checked out after one night due to feeling very uncomfortable with the hotel and service. shower had poor water pressure and difficult to control hot water, had empty shampoo and conditioner bottles. Windows were very dirty, could not enjoy any view. Would not recommend. Staff were helpful but were unable to resolve our issues. The location is amazing, just 2 minutes from our office, but the customer service is terrible after several booking suddenly they made me fill a credit card authorization form and then they send direct messages to my supervisor who's very busy to take care of these subjects, that's why I'm here for. Also talking with the guest she mentioned lack of cleanliness and stench. Definitely a terrible experience, I mean there are several options in the area to choose for. Good location but room very expensive . I pay almost 600$ for two nights without breakfast and no body help me to bring luggage to the room . Check out at 10am not 12 pm . If you want to leave your luggage at the hotel , they will charge 2$ per piece . If I want to extent my check out until 1pm they will charge 65$ ., everything money . I better stay4- 5 stars hotel next trip . 4-5 stars hotel Full service . Room charge not much different . First time and also last time for this hotel . Very noisy in the bedrooms and the shower/hot water system is terrible. Either it is very very hot or very cold. I would not stay here ever again. Not good value for money. Great location unfortunately the hotel is in need of a makeover. The walls, hallways, carpet, bathroom and furniture are all dated and dirty. My bed was uncomfortable and dust all through my room. I couldn’t see through the window as was so dirty. Location is great!! Staff were good but that’s about it. Perfect location. Only issue we had was the fire alarm that went off early morning. Took them almost 40mins to stop it! My partner and I had a lovely time. For the money we spent the room was pretty much the same size as my room at home ( very small ). The beds we not comfortable and the hallway smelt very odd. worth for money and ,, most important the behavior is very good of each staff. 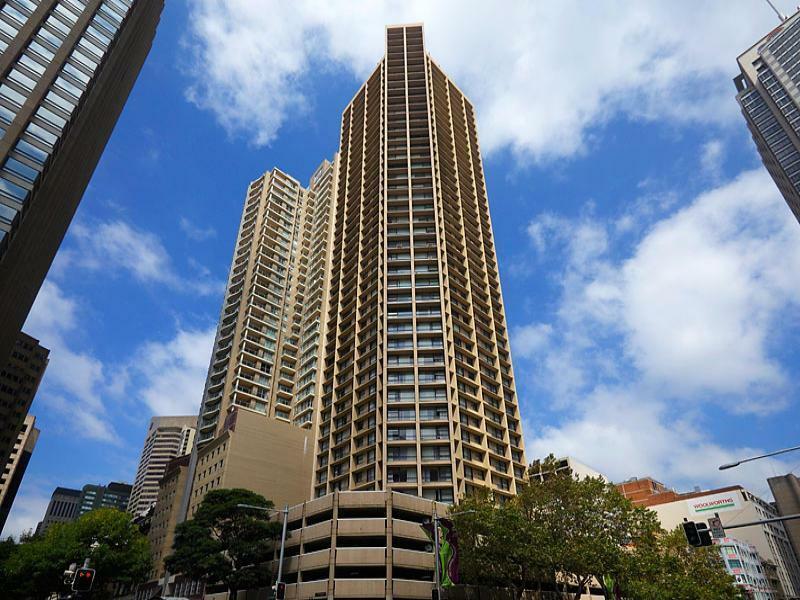 The location was excellent 3 mins walk to Town hall Station and Woolworth supermarket, walking distance to Darling Harbour and all amenities. great customer service,would definitely stay here again.